Den amerikanske forfatteren Larry Brown døde i 2004, bare 53 år gammel. Brown bodde i Oxford, Mississippi, og hadde mange venner i musikkmiljøet. I mai slipper Bloodshot Records en hyllestplate til Brown, »Just One More«, med bl.a. Alejandro Escovedo, Robert Earl Keen, T-Model Ford, Vic Chesnutt og North Mississippi Allstars. Larry Brown’s business card listed his occupation as “Human Being”. Like many other professional human beings, Larry loved music. He felt music and it showed in his writing. As he moved through the world, Larry got to know a lot of musicians, and a lot of musicians got to know Larry, either personally or through his work. Just One More, A Musical Tribute to Larry Brown is a compilation of tunes by artists who were his friends, fans and peers. With 18 tracks, 12 of which are previously unreleased, the album has contributions from a wide range of critically acclaimed artists, among them Alejandro Escovedo (whom Larry performed with periodically), T-Model Ford, Vic Chesnutt, Jim Dickinson (with Duff Dorrough), Robert Earl Keen, Cary Hudson (Blue Mountain), Brent Best (Slobberbone, The Drams) and the North Mississippi Allstars to name a few. Some of these songs were written for the project, songs for Larry and about his characters, such as Caroline Herring’s “Song For Fay”, exploring the title character of Fay, a novel published in 2000. The album closes with a song performed by Larry himself, accompanied by Clyde Edgerton, a Southern novelist of great renown. Larry Brown was born in 1951 in Lafayette County, Mississippi. He was a firefighter with the Oxford, Mississippi Fire Department when he began writing fiction, and after years of struggle and rejection, his first book, a collection of stories entitled Facing the Music, was published in 1988. Brown went on to publish another story collection, Big Bad Love; five novels, including Dirty Work, Joe, Father and Son and Fay; and two works of nonfiction, Billy Ray’s Farm and On Fire. His writing was stark, bluesy and devastatingly honest, filled with characters who lived too hard and loved too hard, and it attracted a cult following far outside of the South. He was a two-time winner of the Southern Book Critics Circle Award and received the Mississippi Institute of Arts and Letters award for fiction as well as the State of Mississippi’s Governor’s Award for Excellence in the Arts. His love of music led him to write for No Depression magazine on artists he loved, and to contribute liner notes for Oxford band Blue Mountain’s Homegrown album that are a model of poetic depiction. When Brown suffered a fatal heart attack in 2004, he was nearly finished with another novel, A Miracle of Catfish, which Algonquin Books will publish in March, 2007. Just One More, A Musical Tribute to Larry Brown, A Great American Author will be in stores May 22, 2007. No Depression’s artist of the decade for the 1990s, Alejandro Escovedo’s bio is one of the most eclectic in the music world. Early on, he founded San Francisco punkers the Nuns and original cowpunk combo Rank & File before moving to Austin to form the True Believers in the mid-1980s. Since then, he has released a string of stunning solo albums. Escovedo was a Larry Brown fan prior to meeting the author the first time he played in Oxford. They became friends and toured together. Minnesota singer-songwriter Ben Weaver’s songs have been referred to as “gutter pulpit sermons.” Weaver and Larry Brown once toured together for an evening of music and words. According to Larry, Weaver is “an American original whose voice and guitar are matched only by the power of his words. His songs are an incredible, haunting gift of music." Multi-talented Iowan Bo Ramsey is a busy man, making his own music and contributing to the music of others, including Greg Brown, Pieta Brown and Lucinda Williams. A longtime fan of the author, Ramsey met Larry Brown at a reading in Iowa City, an experience he says has stayed with him since. Caroline Herring hails from Mississippi, and after getting her start as a singer-songwriter in Oxford, she made a name for herself in Austin, Texas. In Oxford, she was part of the house band for the Thacker Mountain Radio Show, which Larry Brown contributed to on occasion. She continues to perform and record from her home base in Atlanta. A former resident of Oxford, Mississippi, Cary Hudson met Larry Brown when Cary was a member of Blue Mountain and Larry was making a name for himself in literary circles. Larry wrote the liner notes for Blue Mountain’s “Homegrown” record. One of the most popular singer-songwriters of recent years, Greg Brown is also a Larry Brown fan of long standing. Brown has often made reference to his admiration for Larry’s work in interviews. Jim Dickinson is a storied performer and producer who has worked with the likes of Bob Dylan, Big Star and Ry Cooder. He is also the proud father of Luther and Cody from the North Mississippi Allstars. Duff Dorrough played guitar in the Tangents, the longtime house band for the entire Magnolia State. He was one of Larry Brown’s close friends, and he played and sang at Larry’s funeral. The daughter of veteran singer-songwriter Greg Brown, Pieta Brown is a rising star in her own right as a singer-songwriter and poet. Like her father (and guitarist Bo Ramsey), Pieta is an avid Larry Brown fan. Texas troubadour Robert Earl Keen first discovered Larry Brown through the novel, “Dirty Work.” The pair eventually met and formed a tight mutual admiration society that included the members of Keen’s band. Brown wrote a feature story on Keen for No Depression in 2001. Since the breakup of his much-loved V-Roys, Scott Miller has carved out his own niche on the Americana music scene with a handful of celebrated releases. A Larry Brown fan, Miller met the author at his Mississippi fishpond through author/musician Silas House. Tate Moore, an Oxford, Mississippi, resident who made his way to the Magnolia State from Ohio, was once part of the Kudzu Kings, a band that Larry Brown championed in his books. Like most Oxford musicians, Moore was a friend of Larry’s. 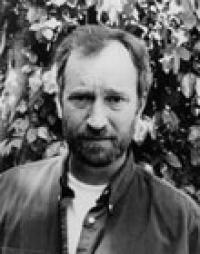 Clyde Edgerton is an award-winning author from Durham, North Carolina. Currently he is a professor at the University of North Carolina Wilmington. His close friendship with Larry Brown grew from their shared love of fishing, writing and playing music.